There are plenty of genealogy websites out there, all of which provide good resources for genealogists and family historians. You might be aware of genealogy focused Facebook pages or Twitter accounts. Don’t forget that there are genealogy podcasts that can provide good information. If your family or ancestors come from Ohio, you might enjoy the Ohio Genealogy Podcast. The Ohio Genealogy podcast brings you information from around the state relating to family history research. The show is hosted by Jeff Keifling, who started out as a radio show host on WAIF 88.3 FM in Cincinnati, Ohio, in 2000. he holds a Certificate in Genealogical Research from Boston University and is a member of the National Genealogical Society. The Ohio Genealogy Podcast is a production of the Genealogy Podcast Network. The Ohio Genealogy Podcast uses an interview format where guest experts provide insight to their expertise in a niche or occupation. Each episode is about 20 to 30 minutes long. 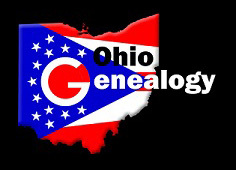 Jeff Keifling accepts experts on a variety of genealogical and historical significance in Ohio or having to do with researching the history of the people of Ohio. Interviews are recorded via Skype. You can apply for a guest spot if you want to become a guest. The first episode of the Ohio Genealogy Podcast was released on March 1, 2017. It was titled “Wayne County Library Lock-in”. The episode featured Genealogy Librarian of the Wayne County Public Library in Wooster, Deborah Kitko. They talk about what it is like to attend a genealogy lock-in. The next episode is unnumbered. In it, Jeff Keifling explores why Ohio does not officially recognize St. Patrick’s Day (and wonders if it ever will). In episode two, Jeff Keifling visited the Center for Holocaust & Humanity Education. He spoke with director Sara Weiss and collections manager Cori Silbernagel about the vision and purpose of the organization. In episode three, Jeff speaks with curator of the Wood County Historical Center & Museum, Holly Hartlerode. They discuss the building’s history and the World War I exhibit. No additional episodes have been posted since the most recent one (on April 7, 2017). Some podcasts take a break for a while and then return with new episodes. You can check out the Genealogy Podcast Network for information on a few other genealogy podcasts and blogs.